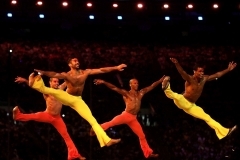 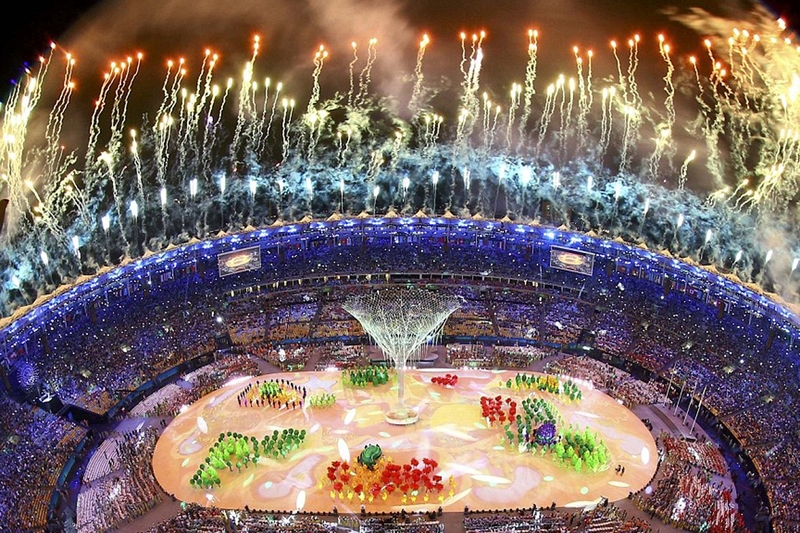 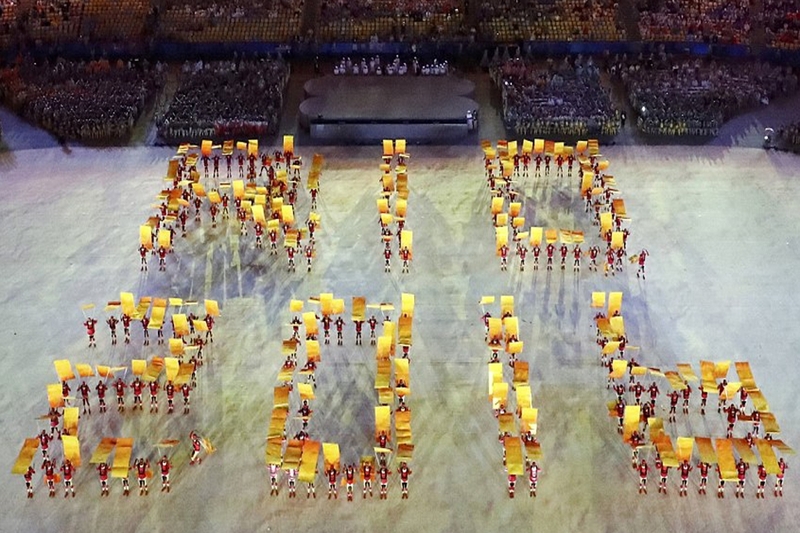 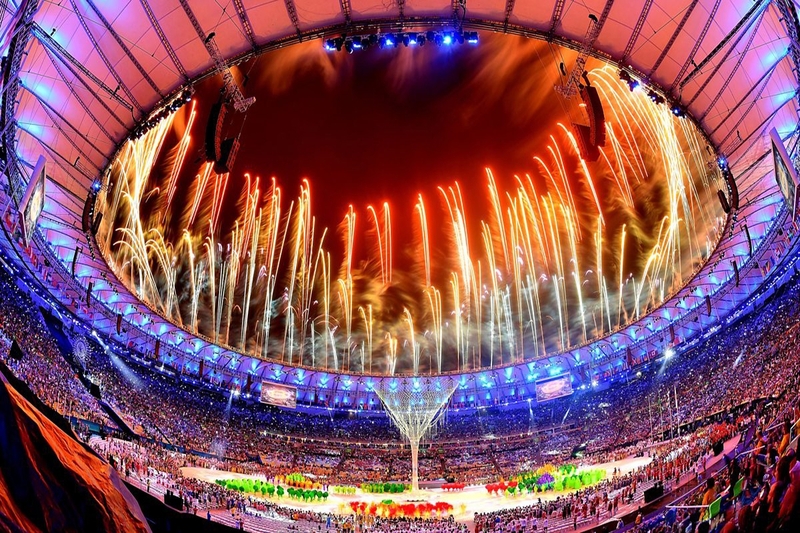 The most-watched overseas Olympic Games in history, setting new records for television and online streaming audiences in both the USA and UK, the Games of the XXXI Olympiad in Rio de Janeiro kicked off on August 5 2016 to a world-wide television audience of some three billion with the opening ceremony staged in Maracanã Stadium. 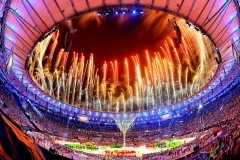 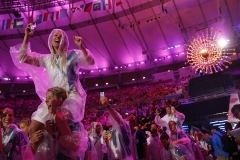 That the show was produced on a budget estimated at only one-third of that reportedly spent on the opening ceremony at the London Games four years ago is a testament to the ingenuity of the show’s creators, producers and technicians. 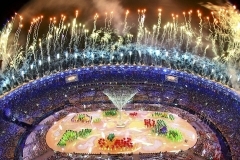 In its themes and by its modest scale, the creative directors Fernando Meirelles, Andrucha Waddington, and Daniela Thomas, who also served as the production designer, crafted a message to the world that the time has come to curtail the conspicuous and ostentatious consumption of precious resources. As is customary in Olympic opening ceremonies, the entrance of the athletes was preceded by a spectacular production designed to showcase the host country’s geography, history, and cultural achievements. 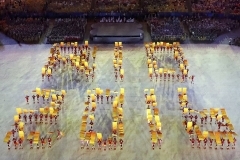 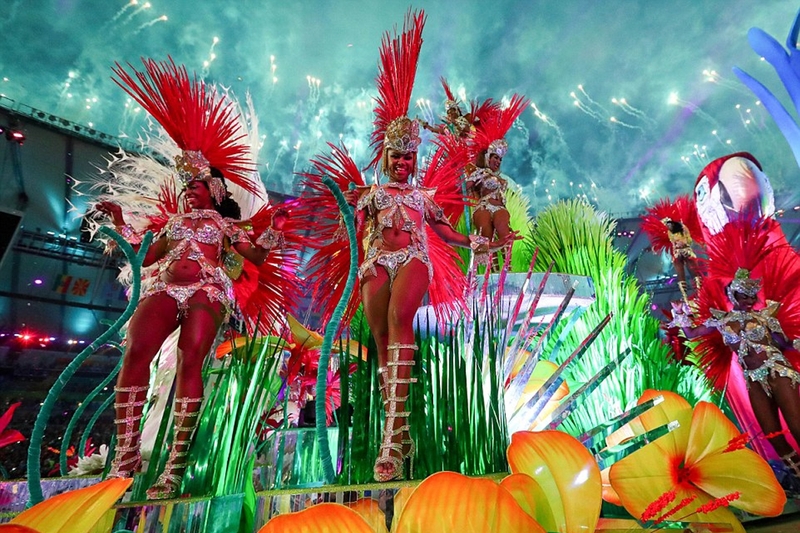 Throughout the ten segments comprising this portion of the event, the staging was accomplished largely through a stunning interplay of lighting and projection, the relatively few physical set pieces being reserved mostly for the concluding segments highlighting Brazil’s contributions to popular culture. 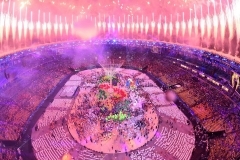 The video projections created under the direction of Fabião Soares, co-founder and creative lead at Oito Zero Oito in São Paulo, continually transformed the field of play into a variety of fascinating vistas, both abstract and literal, during the first hour of the ceremony. All the while, the brilliant, dazzling hues from the palette of the lighting designer Durham Marenghi created a spectacular chromatic choreography of its own.